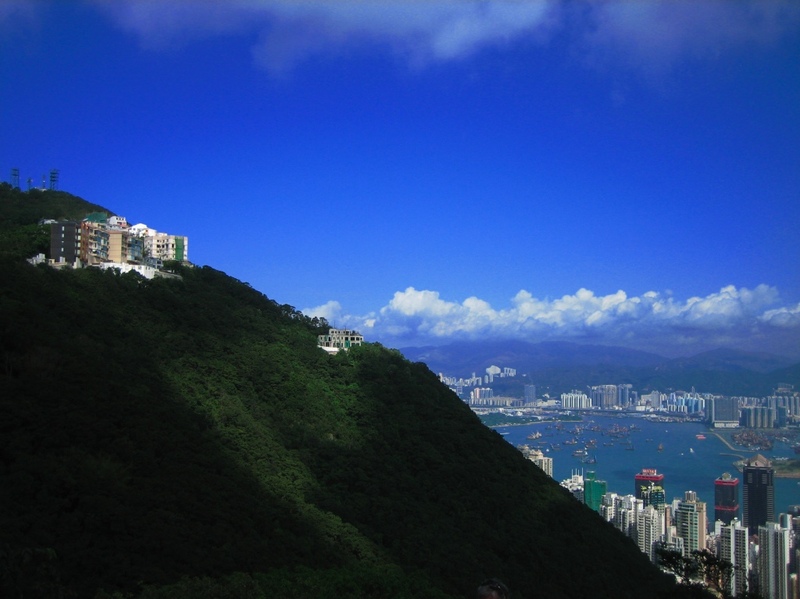 Victoria Peak is the highest point on Hong Kong Island. Rises to an altitude of 1,811 feet, the gradient of Peak Road rises sharply enough that buildings appear to lean. Known locally as ‘The Peak,’ the residential area ranks among the most luxurious and expensive property on the planet. In the late 1980’s, a private developer sponsoring ‘The Peak’ Architectural Competition, called for architecture to create a feasible luxury residential complex, on a prime Severn Road parcel, overgrown with lush local vegetation, pine forests, and breathtaking panoramic vistas. The program required each architecture submission include the design for the specified number of 32 luxury apartment units, seven private homes, and a swimming pool and recreational club facility. 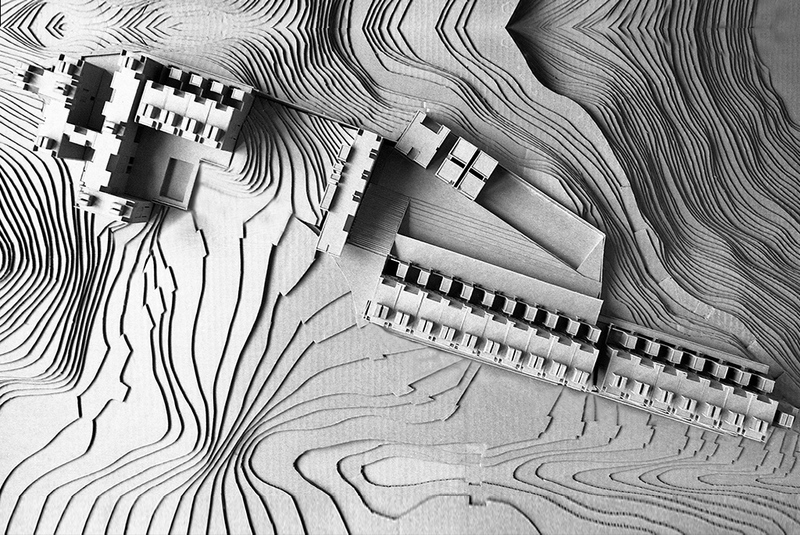 George Ranalli Architect designed a linear arrangement of 32 townhouse-style apartment units, stacked by two, private homes, and a recreational facility, orientating each component, and their respective design features, within the undulating typography of the spectacular site. The apartment block arrangement spanning the east-to-west expanse of the property features design elements, such as floor-to-ceiling “picture” windows, and distinctive landscape design for lower-level terraced garden, and upper-level rooftop patios, capture magnificent cascading vistas of sky, hillside, harbor, and city. The complex of apartments sits atop a solid base, embedded into the landscape, for car park, connecting to a system of footpaths which leads into the apartment entrances, and also meandering pedestrian pathways throughout the complex. The bulwark further provides for the design for an early infinity pool, which extends the composition toward the distant South China Sea. At a higher point on the site, an arrangement of private homes accommodate the programmatic requests for interconnecting outdoor courtyards. The architectural components of the development also shape space for a recreational facility, swimming pool and a large outdoor terrace. ‘The Peak’ luxury residential complex, completed in 2006, by Sun Hung Kai Properties Ltd., includes a linear block of 22 townhouse-style apartments, and, at one end, an infinity pool, private homes, and a recreational facility – residential property ranked among the most expensive, per-square-foot, worldwide.